You are here: Home / St. Petersburg / Overflow Brewing Company is now Open! Overflow Brewing Company is now Open! 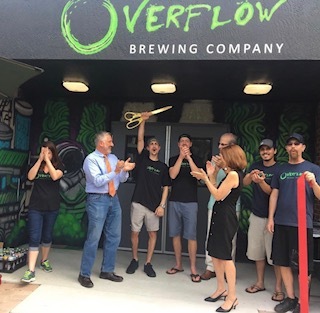 Overflow Brewing Company is now open! They are located at 770 1st Ave. N St. Petersburg, FL 33701.
https://www.luxuryandbeachrealty.com/wp-content/uploads/2018/08/IMG_4348.jpg 313 320 admin https://luxuryandbeachrealty.com/wp-content/uploads/2015/05/logo.png admin2018-08-13 15:16:482018-08-13 15:16:49Overflow Brewing Company is now Open! Sweet Shack is Coming to St. Pete Green Bench Brewery is Expanding!